Man, it’s been too long since I’ve shared something delicious with you. The good news is that I have a mouth-watering treat to share with you, the bad news is that I’m about to get you totally hooked on something. 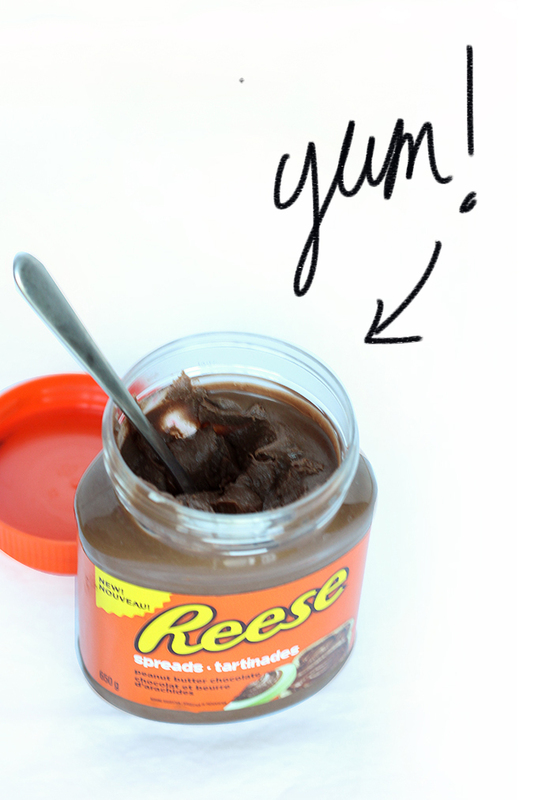 Like, wake up in the middle of the night and eat it out of the container with a spoon, kinda hooked. Be warned. What I’m saying is that the Reese’s, the makers of the already amazing peanut butter cups now has a spread. That’s right. A whole container of peanut butter chocolate goodness to devour. 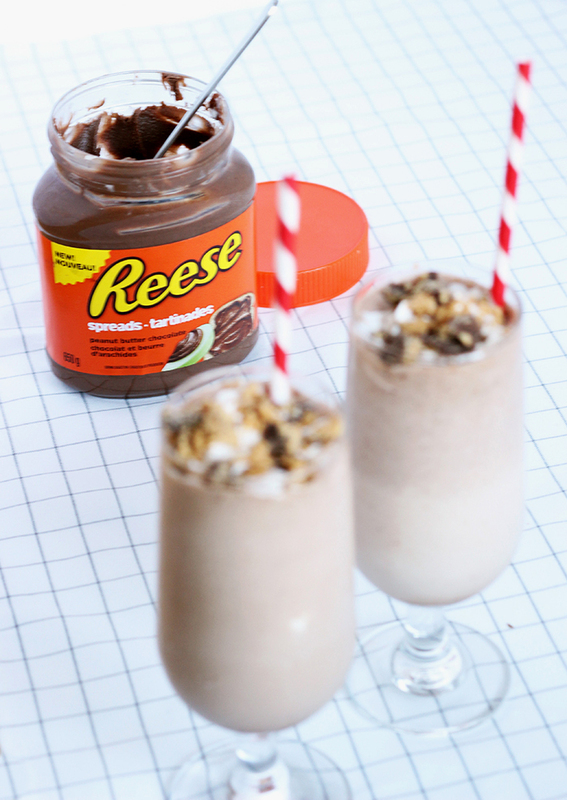 There’s about a million ways to incorporate Reese’s spread into your daily diet – my suggestion is to try this Reese’s Peanut Butter Chocolate Milkshake. I’ll just say “you’re welcome” now and get it out of the way. Is there a better combo than chocolate and peanut butter? Well you have to agree that it’s in the top 3 for sure. 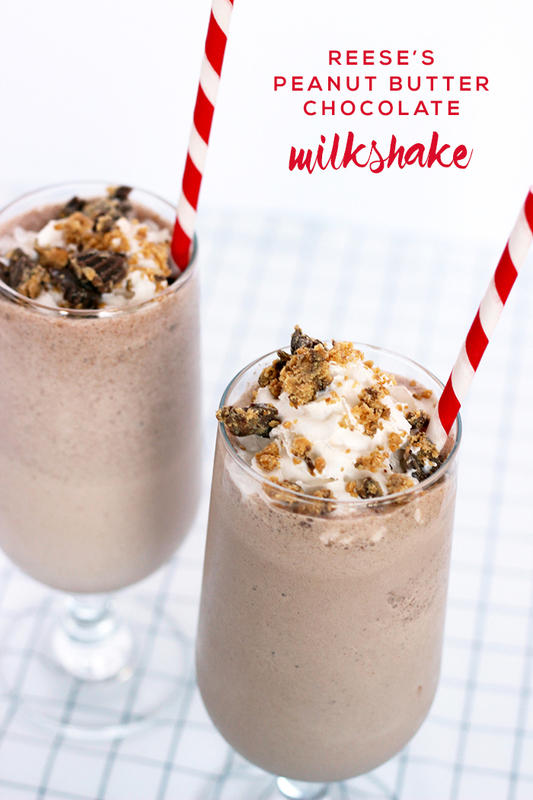 Add some ice-cream and whip cream, forget about it. You’re helpless. 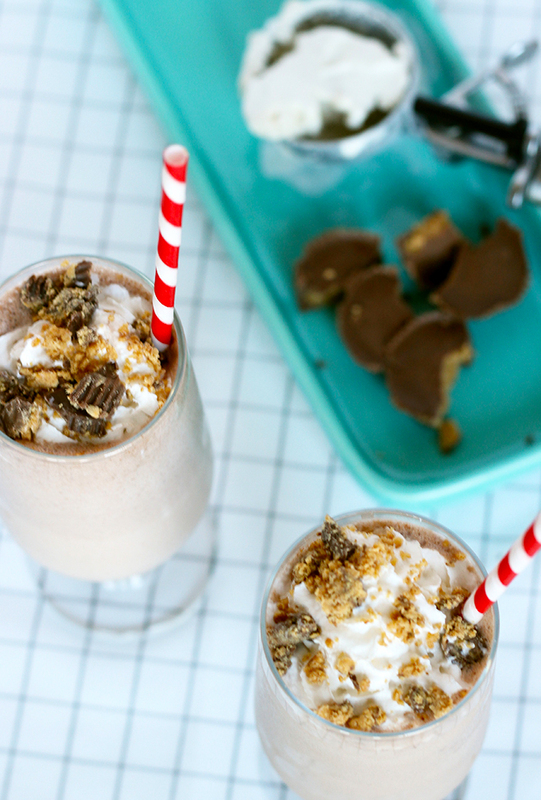 If you’re looking for a sweet treat for dessert or just for no reason at all you’re gonna love this Reese’s spread peanut butter chocolate milkshake. Guaranteed. This is great to bribe the kids, your husband or your BFF to help you with pretty much anything. Promise one of these and they’re putty in your hands. 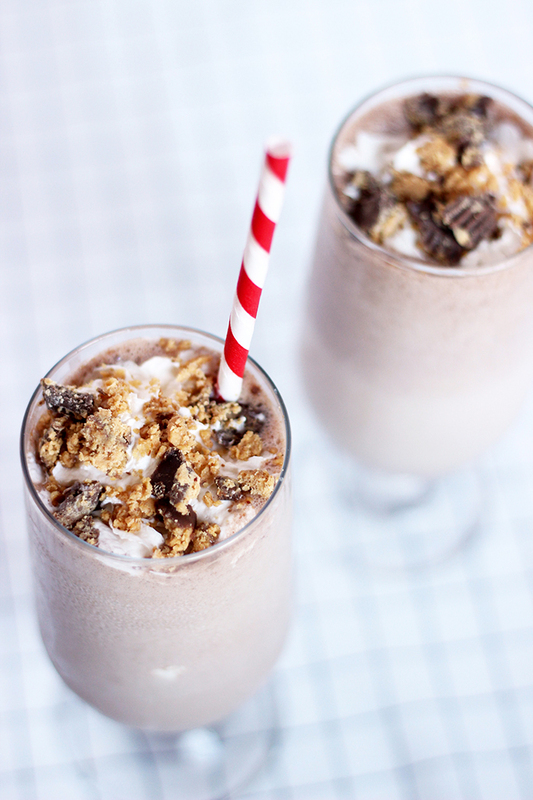 Scoop ice-cream, milk and Reese's Spread in a blender and mix for a minute or until desired milkshake consistency is achieved. 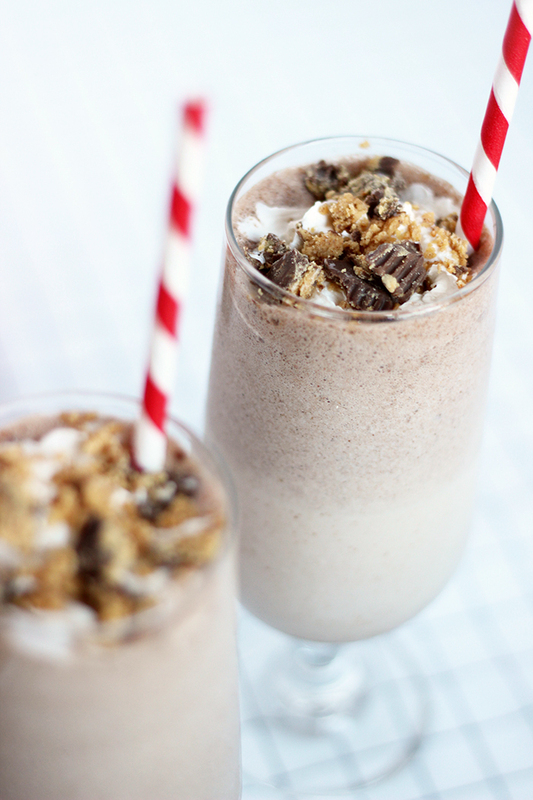 Top with whipped cream and chopped Reese's cup if you like.